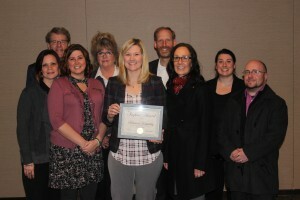 Rebound Hospitality received the Winneshiek County Impact Award at the Annual Chamber Luncheon, held at Luther College in Decorah, Iowa on January 22nd. 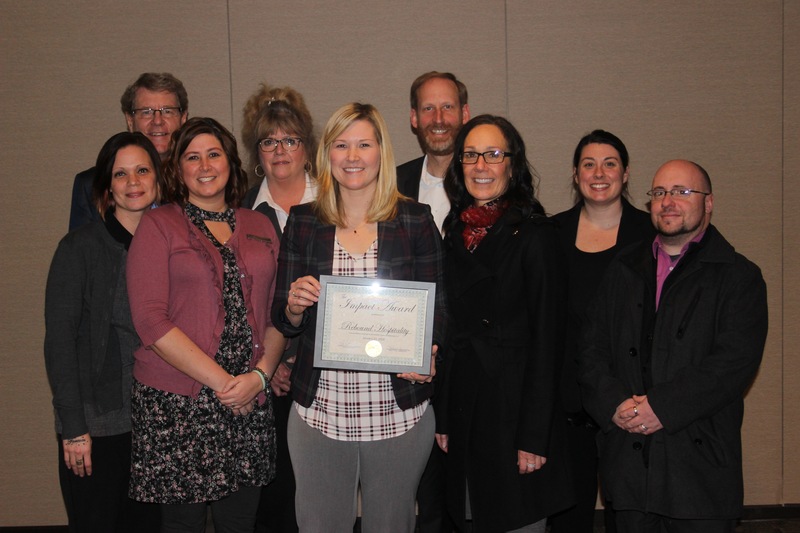 The award was given by Winneshiek County Development, Inc. to recognize Rebound Hospitality’s major impact on the Decorah economy. “Rebound was honored and humbled to accept this award on behalf of our businesses Hotel Winneshiek and Fairfield Inn & Suites by Marriott,” said Brett Reese, Managing Partner of Rebound Hospitality. “We are blessed and grateful to do business in the Decorah community.“ Accepting the award along with Reese was Tami Hansen, General Manager of Hotel Winneshiek, Jennifer Freitag, General Manager of the Fairfield Inn & Suites by Marriott, Decorah and Brent Nystrom, Rebound’s Director of Capital and Business Development and Investor Relations.